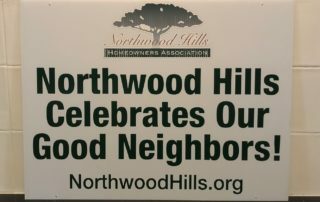 Northwood Hills Homeowners Association – NHHA strives to improve the quality of life for Northwood Hills' residents. Want to see what’s happening in Northwood Hills? 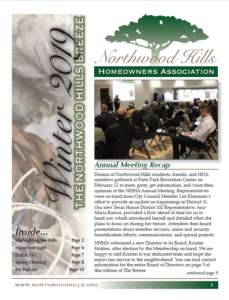 The Northwood Hills Breeze gets published and mailed to residents about four times per year with tons of useful information including details about new regulations or initiatives from the city, helpful tips related to the particular season we’re in, a community calendar, a real estate report, contact information for Board members, a bulk trash collection schedule, and much more! Local businesses advertise in it as well, which helps to underwrite the cost of the publication and showcases service providers who cater to Northwood Hills. Read our most recent newsletter. To find out about some of our recent projects, check out our blog posts below. To learn more about the benefits of membership, visit the Benefits page. Current members: DUES are DUE! It’s now time to renew your membership in NHHA for 2019. Please pay online or mail your check for $300 to NHHA, PO Box 800874, Dallas, TX 75380. Thanks for your support! The first weekend of April was our Annual Alley Clean-Up. 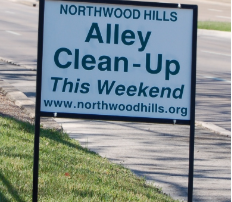 Since Bulk Trash pickup for Northwood Hills began the second week of April, this was the perfect opportunity to tend to your alley and dispose of any brush or debris you cleared out. Each homeowner is responsible for maintaining the area from their back property line to the center of the alley. That includes trimming bushes so they don’t scrape cars or obstruct the alley. Trees that overhang the alley are required to be trimmed up 15 feet to allow clearance for garbage collection trucks. If trucks have to maneuver to avoid your branches, chances are they will cause damage to your alley in the process! If you missed the alley clean-up, try to get to it in May. You’ll see the bulk trash signs throughout the neighborhood when it’s safe to begin work! 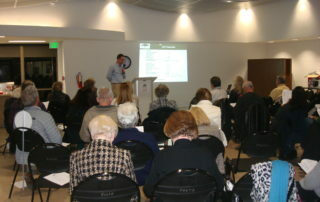 The Northwood Hills Homeowners Association Annual Meeting took place on Tuesday, February 12th at Fretz Park Recreation Center (the building next door to Fretz Library). Residents mingled, enjoyed some light refreshments, and then heard updates on city happenings from Council Member Kleinman’s office. After that, NHHA Board Members provided details on the Association’s activities including Security, Beautification, Membership, and Special Projects. A new At-Large Director, Kristen Holden, was elected to the Board. The 2018 NHHA Financials and proposed 2019 Budget were shared and approved. Questions and comments were welcomed at the conclusion of the business meeting. For a recap of what was shared, the 2019 Report to the Membership should provide an accurate picture of what was accomplished last year and what we hope to achieve this year. For the past few years, NHHA has celebrated National Good Neighbor Day in late September by recognizing the kind and thoughtful people who live around us, facilitating donations of goods and gift cards for our Dallas Fire & Rescue First Responders, and collecting toys and stuffed animals for children undergoing treatment at Medical City Children’s Hospital. This year, NHHA partnered with Carter BloodCare to host a blood donation drive in honor of National Good Neighbor Day. Carter is the primary blood supplier to more than 200 medical facilities and there are about 600 to 800 patients daily who require blood transfusions. Blood products are certainly needed during emergencies, but everyday activities require them too – surgeries, C-section deliveries, transplants, anemia, cancer treatments, etc. What better way to be a Good Neighbor than by donating something that could save a life? * Looking for a previous newsletter? Check out our Archive page. * Need a bulk trash schedule? Enter your address here. * Want to find out when you’re allowed to water your yard? See restrictions here. 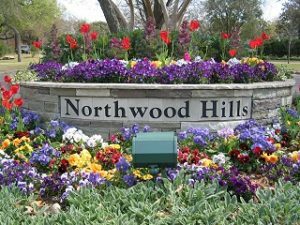 * If you are an NHHA member in need of a No Solicitors Sign or an alley address sign, or need your curb numbers repainted, please submit a request to membership@northwoodhills.org. Curbs are repainted upon request, during either the Spring or Fall, but not on demand.